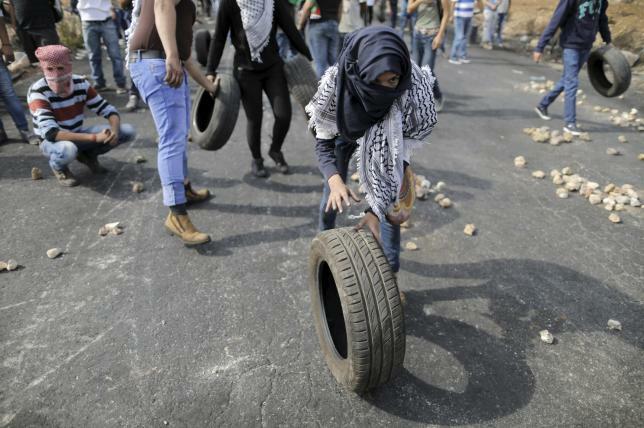 Thanks to Reuters for this photo of masked Palestinian thugs. Israel, our strongest ally in the Middle East, is facing yet another episode of jihadist violence and terrorism against its innocent citizens. Since October 1, 2015, Palestinian terrorists have carried out more than two dozen gun and knife attacks, killing at least ten Israelis and wounding several others. While most attacks appear to be carried out by random Palestinians, the timing and modus operandi of the attacks show that they are concerted acts of terrorism. The recent escalation of tensions began on October 1 when two Israeli parents and their four children were attacked by a Palestinian terrorist organization. The family was traveling through the West Bank on Thursday afternoon when a passing car opened fire on them, killing the parents and wounding the children. Two days later, Rabbi Nehemia Lavi and Aharon Banita were killed near Lion’s Gate in the Old City of Jerusalem. Banita, his wife and his two-year old son were walking down the street when they were stabbed by a Palestinian terrorist. Rabbi Lavi heard the screams and rushed out to help when he was also stabbed. The terrorist then shot at the Border Police who arrived at the scene shortly after the attack began. The police returned fire and killed the terrorist. On October 4th, Faid Aloon, a resident of East Jerusalem, stabbed an Israeli teen, Moshe Malka, outside of the Old City of Jerusalem near Damascus Gate. Hamas bragged that Aloon had expressed his intent to become a martyr on his Facebook page. On October 7th, Tamer Yunes Ahmed Varidat, a West Bank resident, got off of a bus and stabbed an Israeli man, wounding him badly. The same day, an 18-year-old female Palestinian stabbed a 35-year-old Israeli at the Damascus gate of the Old City. In yet another attack on the same day, a Palestinian man, Amjad al Jundi, from the West Bank, boarded the 369 Metropolitan bus and started attacking the passengers. After the driver stopped the bus and the passengers fled, Jundi attacked a soldier, stabbed him, and stole his service rifle. He then entered Liat Ohana’s apartment building, burst into her apartment on the third floor and attempted to stab her, but she fled. Officers came to the apartment and found Jundi barricaded in Ohana’s apartment. After speaking to the officers, he opened the door and stuck his gun through the slot, resulting in officers shooting him. He died later from his wounds. Thanks to the Observer for this photo of the Wailing Wall. “The United Nations Educational, Scientific and Cultural Organization (UNESCO) is expected to consider a resolution proposed by Algeria, Egypt, Kuwait, Morocco, Tunisia and the United Arab Emirates, on behalf of the Palestinians, that will sanction the Western Wall as part of the al-Aksa Mosque compound. A draft text, which could be voted on as early as today in Paris, states that UNESCO ‘affirms that the Buraq Plaza is an integral part of al-Aksa Mosque/al-Haram al-Sharif.’ The Western Wall, called the ‘Kotel’ in Hebrew, is regarded as Judaism’s holiest site. 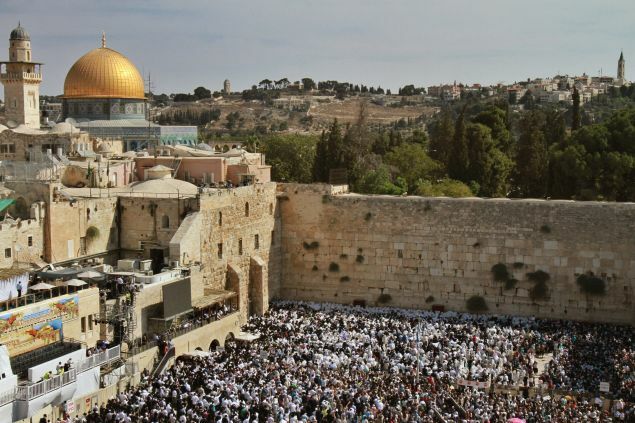 It is sometimes referred to as the ‘Wailing Wall,’ a derogatory reference to the period of Roman Rule over Jerusalem in which Jews were allowed to visit Jerusalem holy sites only one day a year.